UNPO’s report “Enforced Disappearances: When Secrecy Allows Atrocity”, published on the occasion of the International Day of the Disappeared (30 August 2014), has been updated with an additional case study on the Crimean Tatars. The said report aims to provide the international community and the wider public with a tool to intervene in order to counter the impunity of the practice of enforced disappearances, particularly when committed by criminal governments attempting to supress legitimate, peaceful and democratic initiatives of dissent. UNPO is committed to fiercely condemn and combat the act of enforced disappearances, which constitutes a human rights violation that affects the person who is disappeared, as well as their family, friends and community. Around the world, thousands of individuals fall victim to kidnappings, arbitrary detentions and extra-judicial killings. They vanish in complete secrecy leaving behind no traces and spreading paralysing panic among the targeted, vulnerable ethnic minority groups. Not only the Baloch, both in Iran and Pakistan, and the Uyghurs in China, but also the Crimean Tatar in Crimea have been targeted in an attempt to weaken the resilience of their communities. 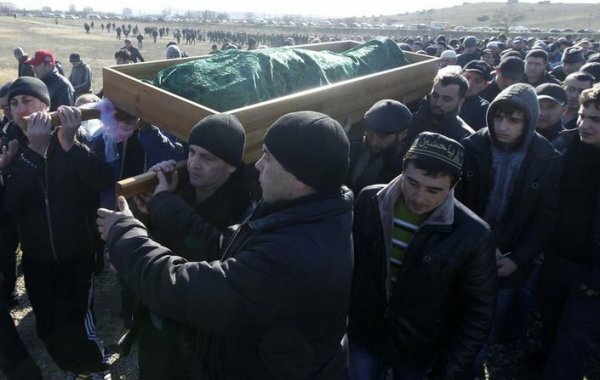 Since March 2014, 19 Crimean Tatars have been abducted, some of them tortured and killed. To download the full report, please click here and to review a related article (1st September 2014), please click here.